The aim of this lecture is to present on Classical Greece. Greeks had few material possessions; Houses were simple; Food was simple and Religion was important. The term “classical Greece” refers to the period between the Persian Wars at the beginning of the fifth century B.C. and the death of Alexander the Great in 323 B.C. 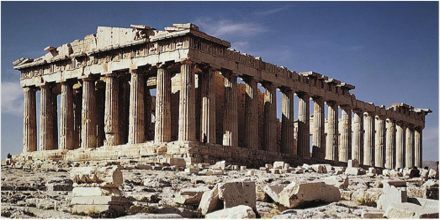 The classical period was an era of war and conflict—first between the Greeks and the Persians, then between the Athenians and the Spartans—but it was also an era of unprecedented political and cultural achievement.